94 Broadway, New Haven, Conn. THE MOST REVEREND JAMES DE WOLF PERRY, D.D. The purpose of this Centenary Congress is to give thanks to Almighty God for the Catholic Revival in the Episcopal Church and throughout the Anglican Communion, to bear witness before the world to the faith and worship of the Church, and to seek together God's grace and guidance, that his Kingdom may come and His will be done on earth as in heaven. The year of grace, 1933, marks an epoch in the history of Anglican Christianity. What is meant by the word epoch? Webster defines it as "a point of time from which succeeding years are numbered." If, then, we recognize this year as an epoch in our religious history, it means that it is a time of new beginnings, of renewed consecration to a great cause, a new obligation of ourselves, body and soul, to the work of forwarding the Faith of our Lord Christ. But every such period of time has, of necessity, its roots in the past. We are what we are, we are able to go on to fresh labours and conquests, because of what has gone before. One hundred years ago on July 14, John Keble preached in the Church of St. Mary the Virgin, Oxford, a sermon at the opening of the Assize courts, taking as his subject the peril of National Apostacy from God. This has been always regarded as the beginning of the Oxford Revival. 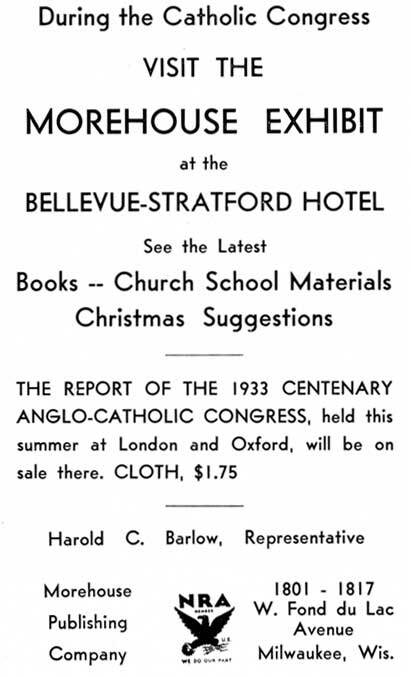 In the United States, as Dr. Hardy has shown in his brochure, "The History of the Catholic Revival in America," the beginning of the Movement antedated this event in England, but the impulse received from the Mother-Church seems to have been necessary in order to make the Movement really move, and we are well content to join with our English brethren in dating the practical start of the Catholic revival from that memorable July day at Oxford. In every part of the world during this present year there have been celebrations of this hundredth anniversary of the greatest religious awakening the western Church has known in many centuries. We have seen the Anglo-Catholic Congress in London, [7/8] with the many allied celebrations in every part of Great Britain. 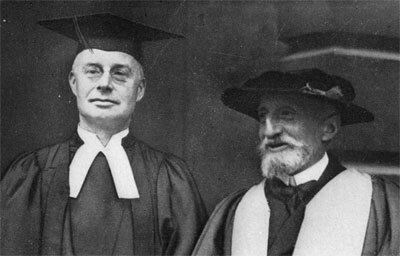 In South Africa and Australia, and in every portion of the far-flung Anglican world, men of all types of Churchmanship have united in honouring the fathers of the Oxford Movement. In this commemoration, barriers across which men have fought for a century have been swept away, and every school of religious thought now conspires to praise those who a generation ago were persecuted, and hunted from parish to parish. It is thankworthy that those who were martyrs within the memory of many living men, have at last come into their own. But as the Principal of Cuddesdon Theological College points out in a recent essay, there is another side to the matter. The "guarded benedictions" which are now pronounced upon the Fathers of the Catholic Revival, are possible because many have learned, unhappily, to tolerate that which they believe to be denials of the pure Gospel of Christ, and many who have no spiritual kinship with the Movement are ready to praise it because they think, after all, the faith does not matter. However, it often happens with human nature that what it tolerates it learns to love. Whether the thing be good or evil, men "first endure, then pity, then embrace." God the Holy Spirit, without doubt, often works in this way to bring men to a knowledge of the truth. I have seen nowhere a saner or truer definition of what the Movement is "in the eyes of those who are proud to own allegiance to it" than that given by Principal Graham, and in our American centennial celebration of the launching of this great work of Catholic revival, we would do well to keep it in mind. 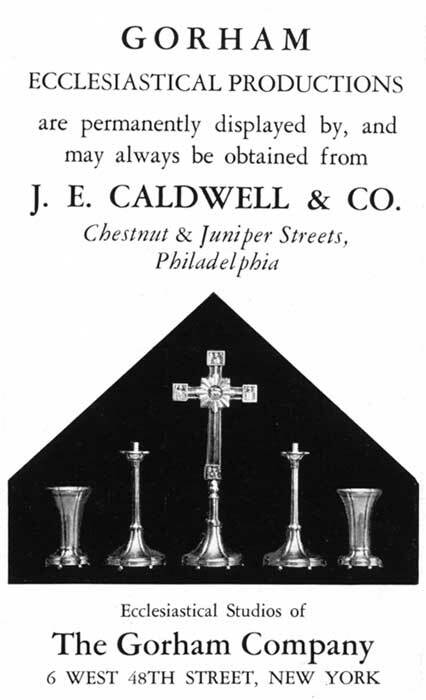 He says: "They regard it not merely as a pillar of ancient tradition, however valuable, not merely as a teacher of the art of public worship, but as a truly Catholic revival; a presentation of the Christian Faith and Life in its fulness--a fulness which combines things old and new, and leaves room for further progress under the guidance of the Spirit of truth." If we are really Catholics, we shall not have to levy tribute on anything save the traditional Catholic interpretation of Christian Truth, adapting it logically and legitimately to the changing needs of the times. Just because the Faith and practice of the Church is Catholic, it must, of necessity, embrace all truth. Realizing, then, what our heritage is, and how that heritage lays upon us a solemn duty as to the future, let us go back to our consideration of the word epoch,--"a point of time from which succeeding years are numbered." This anniversary is not an occasion for self-congratulation, not a time for the mere contemplation of past victories in the fruits of which we rejoice, but rather is it preeminently an opportunity for a deeper consecration of our energies to the setting forth of the Faith once delivered to the saints; for a renewed proclamation of war against all that would assault and hurt the souls of men, a building up of ourselves and all those whom we can influence, in our most holy Faith. It is time for the organization of new campaigns, in order that those who come after us may enter into our labours as we have entered into labours of those who went before. The year 1833 marked an epoch; we date our blessings in the Church from it. Will Catholics a hundred years from now look back to this year as to a new epoch, one from which they can date the multiplied blessings which they will enjoy because we have been faithful and true? In this warfare there is no possibility of failure provided we yield ourselves whole-heartedly to the guiding of Him who dwells and works within us in the plentitude of His omnipotence. When a century ago Mr. Keble said in his historic sermon that he who devoted himself to the cause of the apostolic Church "would sooner or later be on the winning side, and the victory would be complete, universal and eternal," he was stating nothing new or startling. It was a natural and inescapable truth. Yielding ourselves to His Spirit, [11/12] failure will be impossible, unless Satan be stronger than God. * "The Moral Ideals and Aims of the Movement," by Eric Graham, in "Northern Catholicism," edited by N. P. Williams and C. Harris. THE RIGHT REVEREND FRANCIS M. TAITT, S.T.D. THE RIGHT REVEREND BENJAMIN F. P. IVINS, D.D. 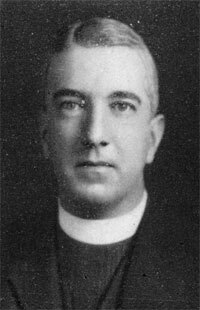 THE REVEREND FREDERIC S. FLEMING, D.D. REVEREND CHARLES C. EDMUNDS, D.D. REVEREND GRANVILLE M. WILLIAMS, S. S. J. E.
REVEREND FRANK L. VERNON, D. D.
REVEREND GEORGE W. ATKINSON, D .D. REVEREND WILLIAM A. MCCLENTHEN, D. D.
PROFESSOR CHAUNCEY BREWSTER TINKER, PH.D., Chairman. REVEREND EDWARD M. JEFFERYS, D. D.
REVEREND LEICESTER C. LEWIS, PH.D.
Mr. George K. Crozer, Jr.
Mr. Murray H. Spahr, Jr. THE RIGHT REVEREND BENJAMIN F. P. IVINS, D. D.
THE REVEREND GEORGE W. ATKINSON, D. D.
THE MOST REVEREND JAMES DE WOLF PERRY, D. D.
H. WILLIAM HAWKE, MUS. BAC. The Reverend Charles Winfred Douglas, Mus. Doc., Canon of St. Paul's Cathedral, Fond du Lac, Choirmaster of the Community of St. Mary. Assisted by H. William Hawke, Mus. Bac., Organist and Choirmaster of St. Mark's Church, Philadelphia and Henry S. Frye, Mus. Doc., Organist and Choirmaster of St. Clement's Church, Philadelphia. The Choir of three hundred voices includes the Choirs of St. Mark's Church, St. Clement's Church, St. James' Church, St. Luke's Germantown, St. Martin-in-the-Fields, Chestnut Hill, St. Timothy's, Roxborough, and St. Alban's, Olney. His heavenly hosts to be my guard. Thy name, O Jesu, be for ever blest, Alleluia! O blest communion! fellowship devine! Singing to Father, Son and Holy Ghost. Amen. The Catholic Revival and the Kingdom of God. Opening Session 8:15 P. M.
Who will introduce the Honorary President. THE RIGHT REVEREND FRANCIS M. TAITT, S. T. D.
Honorary President of the Congress. "The Beginning of the Revival." "The Development of the Revival." THE REVEREND FRANK GAVIN, Ph.D., L.L.D. Professor in the General Theological Seminary, New York. Afternoon Session, 3:00 P. M.
Subject: "The Life of the Kingdom." "The Revival of Personal Devotion." THE RIGHT REVEREND SAMUEL B. BOOTH, D.D. "The Revival of Corporate Worship." Evening Session, 8:15 P. M.
Subject: "The Kingdom and Human Society." "The Worth of the Individual." THE REVEREND JAMES O. S. HUNTINGTON, D.D., O.H.C. "The Responsibility of the Community." Rector of the Church of the Advent, Boston. Afternoon Session, 2:30 P. M.
Subject: "The Extension of the Kingdom." of the Order of St. John The Evangelist. Subject: "The King and His People." WILL SPENS, C. B. E.
Retiring Vice-Chancellor of Cambridge University and Master of Corpus Christi College. Subject: "The Future of the Kingdom." THE RIGHT REVEREND WILLIAM T. MANNING, D.D., L.L.D. Closing Address by the Chairman. The Hospitality Committee cordially invite all Congress members and their friends to a tea and informal reception in the Convention Hall of the Bellevue-Stratford from four until six on Monday, October the twenty-third. Wednesday Evening, 7:00 P. M.
THE RIGHT REVEREND GEORGE CRAIG STEWART, D.D. THE REVEREND BERNARD IDDINGS BELL, D.D. 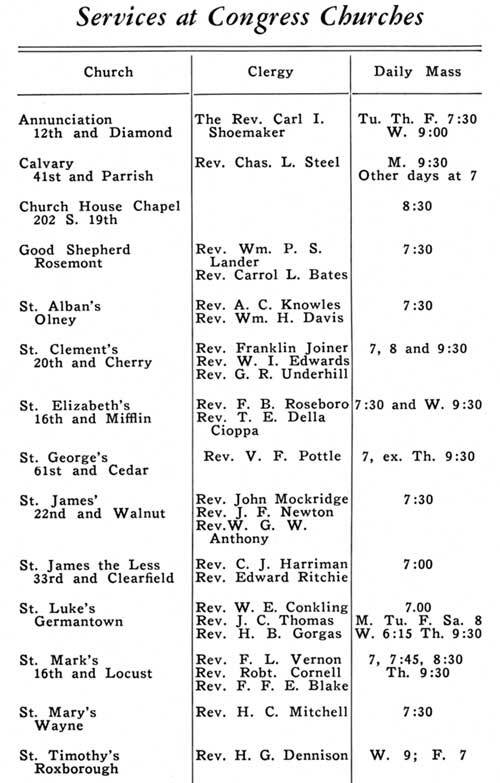 In the Bellevue-Stratford at 4 p. m.
Preacher, THE REVEREND JOSEPH PATTON MCCOMAS, D.D. Solemn High Mass of Requiem for the Congress Members who have died since the last Congress. PREACHER, THE REVEREND JOHN RATHBONE OLIVER, M.D. Preacher, THE RIGHT REVEREND JOHN DURHAM WING, D.D. The Congress Mass at the Auditorium is not a demonstration but a service of Worship, of Thanksgiving and Dedication. The Offering at the Mass is for the Missionary work throughout the world of our Religious Orders. Please register as early as possible and help us avoid congestion. The Registration Booth opens Saturday evening. Holders of membership cards should present them at the Registration Desk. Memberships may be purchased at the same booth. The Dinner is Wednesday evening at 7.00 o'clock. Reservations held for arrival will be found at the desk near the Registration Booth. While they last tickets will be on sale at the same place. This Centenary Congress is but a stepping stone. The Congress Movement goes on continuously. The advance of our work for the Catholic Revival in 1934 waits only upon the will of our people: First your prayers and then such support as you can give. If you wish to contribute as a Thank-offering something beyond your membership use the subscription blank on page 53 of this handbook. 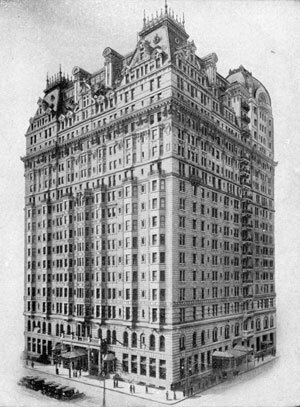 The Congress Headquarters is at the Bellevue-Stratford Hotel, Broad St. All exhibits and meeting rooms are on the same floor as the Congress Hall. The Information Bureau in the Lobby of the Bellevue-Stratford and the Registration Bureau on the Congress floor will open Saturday evening, October 21st and remain open each day from 10 a. m. to 10 p. m. except during the Congress Mass and Sessions of the Congress. Certificates should be handed in at the Registration Desk on arrival for Validation. Mail and Telegrams for those staying in the Bellevue-Stratford will be delivered to the rooms. For others apply at the Information Desk. There will be Masses for Communion at St. Mark's and St. Clement's daily from 7 a.m.--9 a.m. and in other Congress Churches. The hours are indicated on Page 31. Confessions will be heard by appointment in all Congress Churches. Priests will be on duty between 5-6 each day in St. Mark's Church. Priests who have requested an altar should inquire at the Information Bureau for their assignment. It is asked that Priests wishing to celebrate apply for an altar as early as possible. It is requested that they supply their own amices. On sale at the Registration Bureau. Fifty cents for the three. This Handbook is also on sale at the Information Desk and elsewhere in the city. If bought alone the price is twenty-five cents. The Badge this year is the regular new Congress insignia. It is sold only to Congress members. (Price .25). It can also be supplied on order in solid silver and gold. The hymnal has been found so useful that it is again on sale not only for use at the Congress but also for use elsewhere. (.15 cents a copy or $7.50 per hundred). Committee members, stewards and Ushers wear large Congress badges with white ribbons. They will at any time be glad to give any assistance or information within their power. Do not hesitate to call upon them. Members of the Hospitality Committee (blue badges) are anxious to be of service. They ask that you make yourself known to them. 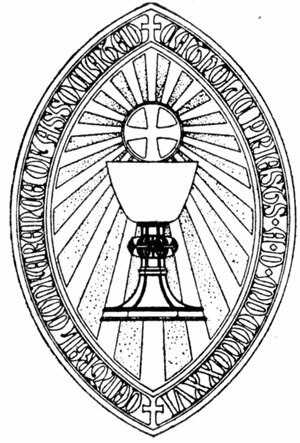 The Altar Guild of the Diocese of Pennsylvania will serve as the Congress Altar Guild. Mr. C. H. Bennett, Manager of the Bellevue-Stratford is personally in direct charge of all matters affecting our comfort and all other officials of the hotel will always be glad to assist us. The Secretary is at your service. When and where he will be available each day may be ascertained at the Information or Registration desks. The Commission on Social Service of the Province of Washington cordially invites Congress members to attend a luncheon at Holland's Restaurant, 114 North 19th Street, Wednesday, October 25th promptly at one o'clock. The Bishop of Bethlehem will preside and the Speakers will be Spencer Miller, Jr., of the Division of Industrial Relations, National Council and Will Spens, C. B. E. Retiring Vice-Chancellor of Cambridge University. Tickets for the luncheon are 75 cents and may be obtained upon application at the Information Desk. On the Congress Floor at the Bellevue-Stratford adjacent to the Hall. Yale University Library has lent to the Congress its Centenary exhibit in commemoration of the inception of the Oxford Movement and of the Catholic Revival. This large collection has been on display in the Rare Book room in the Sterling Memorial Library of Yale University. Because of the extent of this material it has been thought best to limit the display to the events of the first twelve years, 1833-1845. Keble College, Oxford has on display some of its memorabilia of the Movement. A collection of Americana connected with the Catholic Revival arranged by the Reverend George D. Richardson, D.D. Other historical material gathered from various sources. On the same floor are many other interesting exhibits of Vestments, Ecclesiastical Art, Books and Church Furnishings. and its neighborhood, which includes Independence Hall, in which the Declaration of Independence was signed, and which now houses the Liberty Bell, together with its adjoining buildings, Congress Hall, and Old City Hall; Carpenters Hall, meeting place of the Continental Congress. The Grave of Benjamin Franklin in Christ Church Cemetery. The Betsy Ross House, where the first American Flag was made. Christ Church, the first part of which was built in 1695, where Washington, Franklin, and many of the signers of the Declaration of Independence worshipped. Gloria Dei (Old Swedes Church) built in 1700. St. Peter's Church--completed in 1761. Gloria Dei and St. Peters are regularly open from 10 A. M. to 5 P. M. and Dr. Washburn, Rector of Christ Church, has arranged to have it open until 5 P. M. on Wednesday and Thursday, October 25 and 26. Thru the courtesy of Mr. Stodgell Stokes, President of the Pennsylvania Museum, the Director and his assistants will take pleasure in acting as guides to members of the Congress on Wednesday morning, October 25, from 10 A. M. until 1 P. M.
Transportation by bus will be available from the Bellevue-Stratford to the Museum. As it will be impossible for those attending Congress to see Valley Forge during the days on which the Congress is in session, arrangements have been made for a trip to Valley Forge on Friday, October 27, the day following the closing of the Congress. Busses will leave the Bellevue-Stratford at 9:30 in the morning going by way of Fairmount Park and Montgomery Pike stopping at Bryn Mawr College, the Church of the Good Shepherd at Rosemont, and Old St. Davids Church, proceeding thence to Valley Forge, where luncheon may be had (50c). Sufficient time will be allowed to see the Memorial Chapel and the many points of interest, including Washington's Headquarters. As one of the most notable shrines in the country it is hoped that many of those attending the Congress will be able to remain the extra day to take advantage of this. The cost of the trip will be $1.00 per person. If there is sufficient time, visitors are urged to see the historic houses in Fairmount Park, especially Mount Pleasant purchased by Benedict Arnold, for his wife, Peggy Shippen. Further information regarding historic sites and points of general interest will be found in the folder "Glimpses of Philadelphia", or may be obtained from the information desk. The Union League--Broad & Sansom Streets extends the privileges both of the Main Club and its Ladies Dining Room. The University Club--16th & Locust Streets. The Racquet Club--16th St. below Walnut. The Rittenhouse Club--1811 Walnut Street. The Penn Athletic Club, 18th St. & Locust. Cards for the Clubs listed above may be obtained at the Registration Desk. 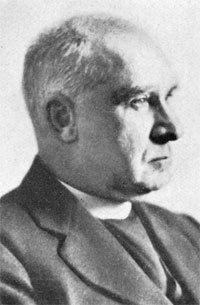 THE REVEREND BERNARD IDDINGS BELL, D.D., Writer, Preacher and Teacher is so well known because of his brilliant writing and preaching that he needs no introduction. He has been Dean of the Cathedral at Fond Du Lac, Chaplain during the war at the Great Lakes Naval Training Station, President and Warden of St. Stephen's College and is now Preaching Canon at St. John's Cathedral, Providence, The Presiding Bishop's Cathedral. 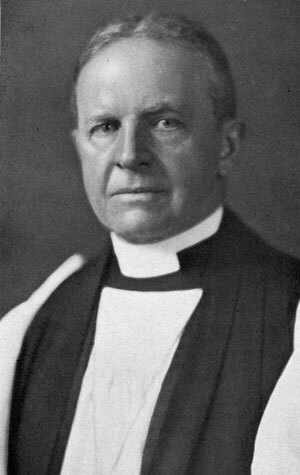 THE RIGHT REVEREND SAMUEL BABCOCK BOOTH, D. D., Bishop of Vermont, is a graduate of Harvard University and the Cambridge Theological School. 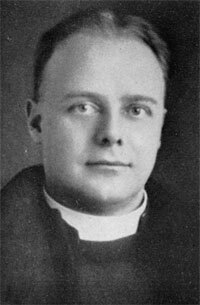 He left the Rectorship of St. Luke's Church, Philadelphia, to serve as a Chaplain of the Red Cross in France. Returning he devoted himself to country missionary work in Pennsylvania and with such outstanding success that clergy came from far and near to study his methods. From this field he was called to Vermont. As a great pastor and teacher of spiritual things his influence extends throughout the whole country. RALPH ADAMS CRAM, LL.D. architect and author is a native of New Hampshire. After studying architecture he went to Europe to travel and study and upon his return founded the office of Cram and Wentworth which through succeeding years has continued though with some changes of names and is now Cram and Ferguson. In the forty-four years of their labor they have built a great number of churches. Their work extends over the United States, Canada, Hawaii, Cuba and France. 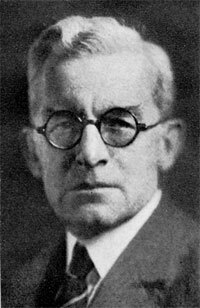 Dr. Cram has been or is at present supervising architect at Princeton University, Bryn Mawr College, Wellesley and Williams College. As an author, Dr. Cram is known throughout the world. He has received Doctors' Degrees from Princeton, Notre Dame, Williams and Yale and an honorary Phi Beta Kappa from Harvard. THE REVEREND JOHN CROCKER, native of Massachusetts, Groton School, Harvard College, Balliol College, Oxford, A Master at Phillips Academy, Andover, graduate of the Episcopal Theological School, Cambridge, is now Student Chaplain at Lawrenceville School. THE REVEREND FRANK GAVIN, TH. D., PH. D., LL. D., Professor of History in the General Theological Seminary, New York City and is widely known both in Europe and in this country for his profound knowledge and brilliant expositions. He is a native of Ohio and was a professor at Nashotah before coming to New York. 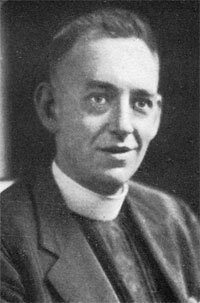 THE REVEREND JULIAN HAMLIN, graduated from Williams College and took a Theological course at the General Theological Seminary followed by a year in the Graduate School at Columbia University. After serving in Pennsylvania he went to Rhode Island as rector of the Church of St. John the Evangelist and from there to The Church of the Advent, Boston. He has a special interest in social problems and his clear cut thinking has given him a prominent position among leaders of social thought both in England and in this country. For some years he has been a member of the National Council of the Church Mission of Help. He is a member of The Central Conference, the governing board of the Catholic Congress. THE REVEREND WILLIAM M. V. HOFFMAN, JR., S. S. J. E. is one of the younger members of the Order of St. John the Evangelist. He is a priest at St. John the Evangelist Church, Boston and is in charge of the Order during the Father Superior's absence in Japan. He is noted for his work in psychiatry and is an interesting teacher and is an able Pastor of Souls. He was horn in Massachusetts, graduated from Harvard and the Harvard Law School and studied at the General Theological Seminary. 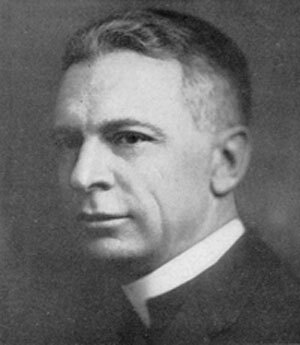 THE RIGHT REVEREND BENJAMIN F. P. IVINS, D. D., Teacher and Pastor, after an earlier ministry in Indiana served as President and Dean of the Theological Seminary in Nashotah. 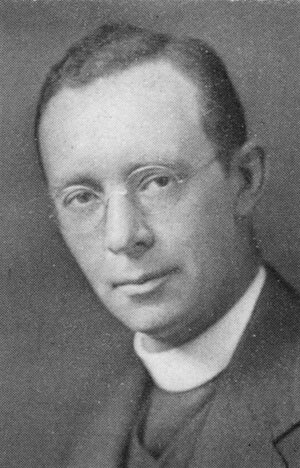 He was elected Bishop Coadjutor of Milwaukee in 1925 and is now Bishop of the Diocese. As a leader in the Church and a champion of the Catholic faith his influence extends far and wide. A powerful preacher, forceful speaker and brilliant writer, he adds thereto a unique ability as a presiding officer. He served in the war and still holds a commission as Major in the Reserve Corps. THE RIGHT REVEREND THOMAS JENKINS, D. D., is a strenuous, vivid and forceful representative of the fascinating and important western mission field. Born in England, graduate of Kenyon College and Bexley hall, his career has been colorful and varied. Oregon, Ohio, Delaware have profited by his service. He has been a member of Standing Committees, Boards of Religious Education, Provincial Synods, Councils, a Deputy to General Convention and a member of the Pan-Anglican Congress. All in a short span of years. 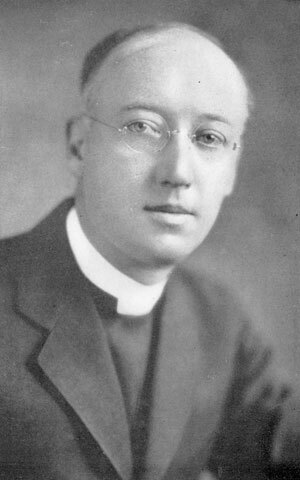 THE RIGHT REVEREND WILLIAM THOMAS MANNING, D. D. was educated at the University of the South and later served at that University as a Professor of Theology. He has been rector of parishes in California, Tennessee, Ohio, Pennsylvania and New York. 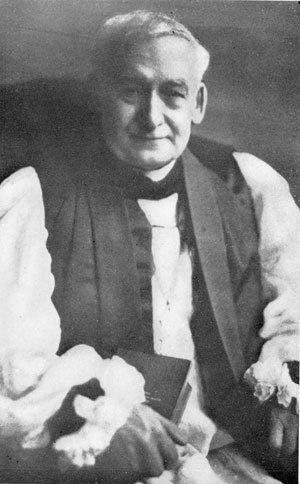 He was Vicar of St. Agnes Chapel, New York in 1903. 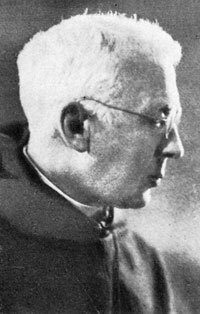 In 1904 he became Assistant Rector of Trinity Parish and in 1908 succeeded to the rectorship. He was elected Bishop of Harrisburg and later Bishop of Western New York but declined these elections. 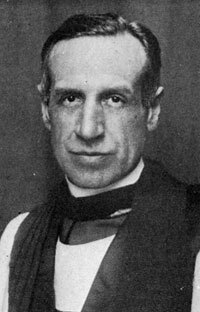 In 1921 he was elected Bishop of New York. THE REVEREND WILLIAM A. MCCLENTHEN, D. D. began his ministry at St. Clement's Philadelphia. He then founded the Donaldson School in Maryland and since that time has been for twenty-five years the Rector of Mount Calvary Church, Baltimore. He holds a prominent position in the Diocese and has served or is serving as a member of the Diocesan Council, on the board of examining Chaplains and the Cathedral Trustees, the Standing Committee and as a Delegate to the General Convention. His clear thought, able presentation and charming personality have endeared him to hosts of people. He is a member of the Central Conference of the Congress and his sanity and clear thinking has meant much to us all. THE REVEREND JOHN RATHBONE OLIVER, M.D., PH.D. Priest, author, psychiatrist and teacher leads a life of fourfold activity. He is Professor of the History of Medicine in Johns Hopkins University and an assistant priest in Mount Calvary Parish, Baltimore but his varied interested and wide spread activities extend far and wide. THE MOST REVEREND JAMES DE WOLF PERRY, D. D., Presiding Bishop of the church and President of the National Council, was a native of Philadelphia. 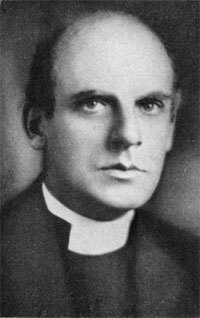 After graduating from Harvard and the Episcopal Theological School at Cambridge he went to Christ Church, Springfield, then to Christ Church, Fitchburgh and thence to St. Paul's New Haven from which he was called to be Bishop of Rhode Island in 1911. He has earned distinction in so many fields that it is impossible to mention them here. ROBERT K. ROOT, PH.D., Dean of the Faculty in Princeton University, has been for many years Professor of English in that institution and has an international reputation as a scholar and teacher. The rare occasions when he can be persuaded to leave academic fields. The clearness of his reasoning and the persuasivness of his presentation give him an eager and attentive hearing. WILL SPENS, C. B. E., Master of Corpus Christi College, Cambridge, is among the most distinguished of the Anglo-Catholic laity. He has just completed a successful three years as vice-chancellor of his university where he also serves as chairman of the appointments board. Born in 1882, Mr. Spens was educated at Rugby and King's College, Cambridge. Before the war he served as a fellow and tutor of Corpus Christi College, Cambridge, resigning that work in 1915 to undertake temporary duty at the foreign office, in which he became secretary of the Foreign Trade Department. For his services during the war he was made a Chevalier of the Legion of Honor and an officer of the Order of the Crown of Italy. Following the war, Mr. Spens returned to his work at Cambridge University where he was a member of the statutory commission and the financial board prior to his appointment as vice-chancellor. He is also a member of the governing bodies of Rugby School, King's School, Canterbury and Heathfield School. He is the author of Belief and Practice, a scholarly work which has run through several editions, and gained him wide recognition in America as well as in England, and of occasional articles on theology and the philosophy of religion. THE RIGHT REVEREND GEORGE CRAIG STEWART, D.D. L.H.D., S.T.D. The most interesting thing about the Bishop of Chicago is his amazing versatility. No matter what he turns his mind to, whether it is the theory of Einstein or the latest book on Philosophy of Religion or Gothic Architecture or the financing of a building project he does it not only well but interestingly. He was rector for 25 years of St. Luke's, Evanston where he built up a devoted congregation the largest in the diocese. His abilities as preacher and speaker are in constant demand from coast to coast. His work among college men and women has been effective in keeping them awake to the essentially spiritual constitution of the universe. He has been a delegate from Chicago to eight General Conventions of the Church, and is now the spiritual leader and administrator of a great diocese and is carrying it forward to great things. Bishop Stewart is also a member of the National Council of the church. 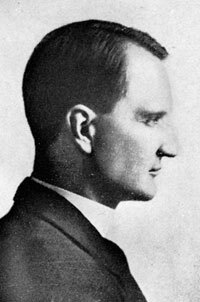 THE REVEREND WILLIAM BREWSTER STOSKOPH, is well known to Congress members as he has several times appeared on Congress programs. Born in Illinois he graduated from Yale and the General Theological Seminary, served at the Church of the Advent, Boston, was Rector of Trinity Church, Bridgeport until 1909 when he was called to his present Parish, the Church of the Ascension, Chicago. He is a leader in his Diocese and serves on many commissions and Committees and is also Chaplain to the Bishop. 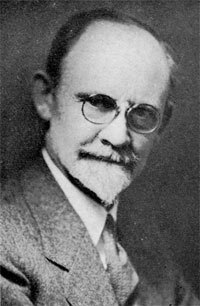 WILBUR M. URBAN, PH.D. Professor of Philosophy in Yale University, comes from a distinguished church family. His father was a priest of the church and several brothers now serve as priests and bishop. The first part of his education was obtained at the William Penn Charter School, Philadelphia. After graduating from Princeton he studied at the Universities of Jena and Leipzig. He taught philosophy first at Princeton and then as Professor at Ursinus College, Trinity College, and Dartmouth College. He went to Yale in 1931. He is the author of many books and president of the American Philosophical Association and contributor to the International Congress of Philosophy. He taught at our Priest's Institute at Kent School, Conn. and addressed the Clergy Conference at Lake Mahopac. Those clergy who have had the privilege of sitting under him consider his teaching invaluable. THE RIGHT REVEREND JOHN DURHAM WING, D.D., LL.D., Bishop of Southern Florida is especially welcome both for his own charming personality and because he can so well represent the south. Born in Atlanta he has held Rectorships in Atlanta, Savannah and Chatanooga. 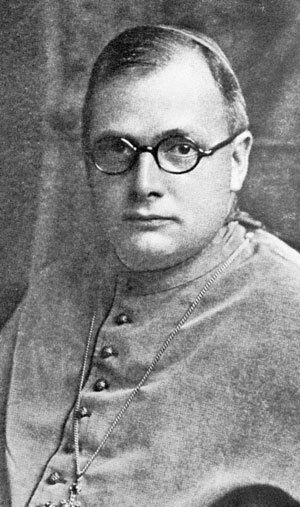 He was called to the Episcopate in 1925. 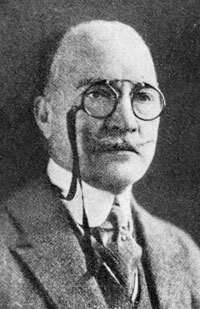 CLINTON ROGERS WOODRUFF President of the Civil Service Commission and authority upon civic and political economics was born in Philadelphia and is a graduate of Pennsylvania University and its Law School. He is noted internationally for his participation in movements tending to the betterment of municipal and general social and political conditions. As an active layman Mr. Woodruff is well known throughout the Church. Among many other duties he is now serving as Chairman of the Diocesan Social Service Commission and as a Trustee of St. Stephen's College and writes regularly for the Living Church. He is widely known as an author and writer on municipal and social subjects. Mr. Woodruff is Director of Public Welfare for the City of Philadelphia. This handbook would not be complete without mention of the two former Chairmen of the Congress Committee. We are fortunate in that they both are present at this Congress and both active in work for the Catholic Revival. 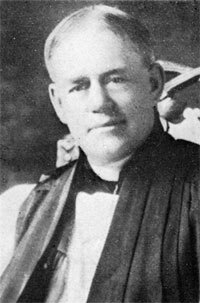 Father Hughson, the first Chairman, is now Chairman of the Central Conference, the governing body for the whole Congress Movement in this country. 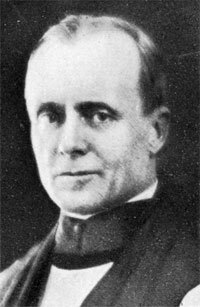 Dr. Edmunds who succeeded him is now Editor of the American Church Monthly and a life member of the Central Conference. Now that the Centenary Congress is over we are settling down to a consideration of all our future plans. The old and tried works of the Committee have amply proved their worth and there is no intention of alteration in the main lines of action. The Fiery Cross Association will continue to organize continuous intercession. The Catholic Literature Association will continue to issue devotional and liturgical literature, but intends to give attention to the need for apologetics. The Pilgrimage Association is busy with plans for visitors to Oberammergau, and is also arranging a "steerage" pilgrimage to Jerusalem at the cheapest possible rates. The Overseas Association, the Secretary of which (The Rev. H. N. V. Tonks) is to be found at the Catholic Literature Association stall at this Congress, is only held up from large developments of work on its present lines by lack of funds. The Consciences of English people have really been awakened in the last few years by the evils of overcrowding in our slum areas, so that the new Housing Association has been formed, to aid the Archbishops in their endeavour to arouse Church people to this shame and scandal. Again, the Congress has led to a movement among the young people, who are forming themselves into a Seven Years Association. In general, it is not proposed to hold a great Congress in London for a number of years, although no doubt similar gatherings will be held in other centres. Although there is to be no such gathering in London, we hope the International Committee formed at the Albert Hall will be able to arrange for an International Conference of priests before many years have passed. 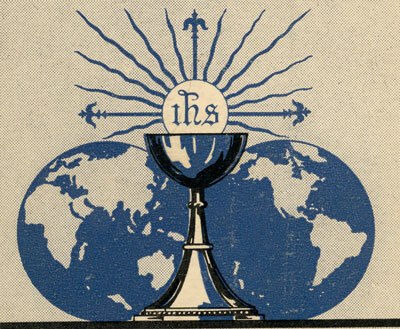 We hope and pray for an International Catholic movement in the English speaking world, and we look to the Philadelphia Congress as but another manifestation, along with our own Congress this summer, of our thankfulness for the Oxford Movement, and more than that, of the new Inspiration which has come to us all. The past has been splendid: we hope the future may be glorious. Checks should be drawn order of The Catholic Congress.